March 31, 2016 By Editor & filed under Blog, Success Stories. Success: 3 lbs lost in 2 weeks, plus beating breast cancer! In early 2015 I was about 10 pounds above my ideal weight, but I felt healthy. I was an inconsistent exerciser but seemed to be maintaining my weight. I love fruits and vegetables but also indulged in sweets too often. Late February 2015 I went to my doctor for a check up, and tests followed. On March 5, 2015, at 46, I was diagnosed with stage 3 breast cancer. Three weeks later I had a double mastectomy and lymph nodes removed. I received chemo from late April through September and then had radiation, with my treatment ending in late November. During chemo I craved carbs and did not like the taste of vegetables. I slept about 12 hours a day and when I was awake my activity was limited by fatigue and pain. It was all I could do to care for my children, and I gained 25 pounds. Toward the end of chemo I began a chemo rehab program. A physical therapist started me out on a treadmill and during my first session all I could do was walk at a speed of 2.0 for 15 minutes. I stayed with the program until January 2016, at which point I bought my own treadmill. I had lost 15 pounds and was doing walking/jogging intervals by this time. My weight loss seemed to stop there, though. Although I knew I should change things up and add strength training I was unmotivated to do so. I am currently cancer free, but as part of my on-going treatment, I’m on medications that have put me into menopause and make weight loss harder. I learned about GHUTV online and what attracted me to it was the variety and motivation from Chris. I have followed Chris for years and I feel she is practical and motivating. I find the GHU website helpful, so I thought, “Why not give GHUTV a try? !” While I’m still using my treadmill some, I have been exercising five to six days per week for two and a half weeks with GHUTV. I started with Walk & Tone Express, and have also done Walk & Tone to the Max, Yoga Stretch 1, and Cardio Kickbox. I lost 3 pounds in the first two weeks and I have more definition in my arms and abs. I love the encouragement from Chris during the videos, as well as the variety and adaptability of them. I also find the reminders about maintaining form helpful. It is great to have short workouts with both cardio and strength incorporated. I am able to adapt to my fitness level, and I know that I will continue to be challenged as I improve. I like the videos I’ve tried so far and I’m excited to try more of the videos offered. I appreciate that the GHUTV videos allow the user to exercise in a limited space. I actually enjoy my workouts now… it’s not just something I should do, but something I get to do. And, making physical changes encourages me to make better food choices, so I have cut back on sugar and focus on healthier meals and snacks. I have 7 more pounds to go to get to my pre-diagnosis weight, and I know GHUTV and GHU will help me reach my goal. A big thank you to Katherine for sharing her story with us. Keep that motivation up! YES U CAN! Congratulations Katherine on being cancer free and taking good care of yourself with the help of GHUTV and Chris! I love these workouts because they are short and effective. I haven’t lost any weight yet, but I am definitely building more muscles and toning at the same time. Thank you Chris! Thank you, Beth! I hope you are still at it and seeing results. 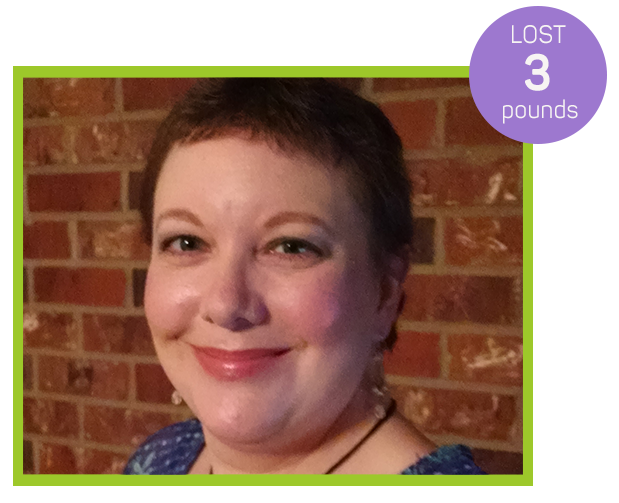 Update from member: With the help of GHUTV I met my goal of reaching my pre-diagnosis weight by June 2016. At which point, I began the multi-stage process of breast reconstruction. The June surgery was major, with an 8 week recovery period. But, I know my recovery was made easier by the fact that I had a strong core and was overall physically healthy. Once I was able, I returned to my GHUTV workouts with the motivation to lose a little more weight and build strength before my next surgery. I lost 4 more pounds prior to my December surgery, so it’s a total of 14 pounds in 8 months lost with the help of GHUTV. I have one more week until my arm restrictions are lifted and I’m able to up my fitness and I’m looking forward to spending my mornings with GHUTV. Thank you for going on the roller coaster ride with me, and helping me be strong and healthy!